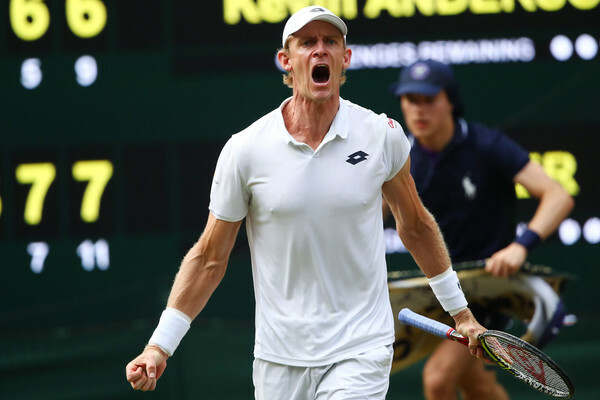 Home Tags Posts tagged with "wimbledon"
The Wimbledon Men’s Singles semi-finalists have been decided after the finale of the final eight was completed on Wednesday afternoon. Among them is tournament-favourite Roger Federer, who is hoping to secure his eighth Wimbledon title and create history. After picking up an injury in 2016, Federer bounced back immediately with an astonishing victory in the Australian Open back in January. He went on to pick up the Miami Open title, before claiming victory at the Indian Wells ATP Tour Masters and at Halle before coming to Wimbledon. It was no surprise then that he was tipped to be one of the favourites to be crowned Wimbledon champion – though he had some tough competition. Rafael Nadal also went into the tournament in fine form after picking up his record-breaking 10th French Open title just a few weeks ago. World number 1 and defending champion Andy Murray also had a big stake of claim and you’d have been foolish to have written off 12-time Grand Slam champion Novak Djokovic. However, a shock first-round exit for Stan Wawrinka, a withdrawal from Djokovic and quarter-final defeats for Nadal and Murray has left the door wide open for Federer to go the whole way. The Swiss legend will take on Tomas Berdych in the semi-final and he will be the resounding favourite after defeating Milos Raonic in straight sets to progress from the quarters. Statistically, Berdych is no match for Federer. The Czech number one has 13 career titles to Federer’s 92, 0 Grand Slam’s to Federer’s 18 and has only reached the Wimbledon final on one occasion and that was way back in 2010. 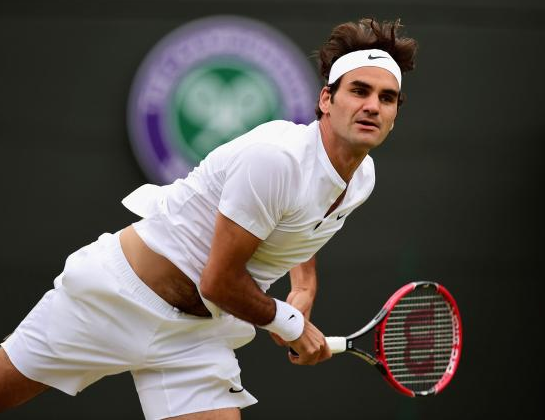 The pair have faced each other on 24 occasions and Federer has come out on top on 18 of those so he will fancy his chances of reaching the Wimbledon final yet again. Federer’s opponents should he overcome Berdych, are also much less experienced and of Marin Cilic and Sam Querrey, only Cilic has a Grand Slam title to his name. The Croatian won the US Open back in 2014 but has never before reached or gone beyond the semi-final stage at Wimbledon. He will be facing new territory at SW19 but so will opponent and world number 28 Querrey. The American reached a career high ranking of 17 a few years back and he has gone one step further this year after beating his 2016 record of a Wimbledon quarter-final. Both players are in some of the best forms of their lives but with 35-year-old Federer also in top shape, they have a tall mountain to climb. The championship has certainly swung in Federer’s favour and as the “King” of the Centre Court at Wimbledon, the crown is his to lose. Should injured players be held accountable? 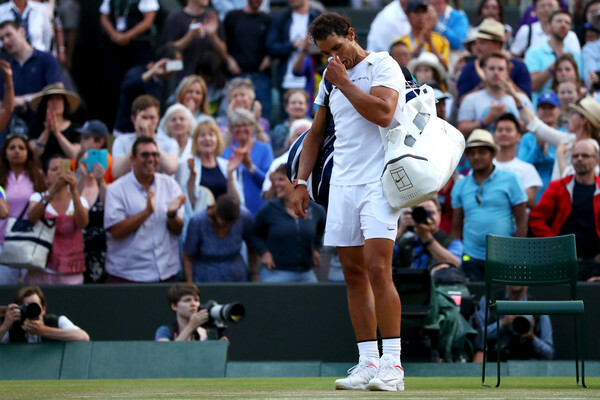 World No.2 Rafael Nadal is already thinking about his next Wimbledon return after crashing out in a five-set thriller to Gilles Muller in the fourth round. The Spaniard was trailing behind throughout the entire match, valiantly fighting back from two sets down and saving a quartet of match point before succumbing 15-13 in the decider. It it the sixth consecutive year that Nadal has failed to reach the last eight at SW19. An outcome that leaves him with mixed emotions. “I think I didn’t play my best the first two sets.” Reflected Nadal. Monday’s loss ends Nadal’s 10-match winning streak. During the recent clay swing of the tour, he won four titles, including a record 10th French Open trophy. Furthermore, Muller is only the fifth player to defeat the Spaniard this season. In light of his first half of the year, it could be argued that Nadal shouldn’t be too down about his latest tournament exit. On the other hand, it is no consolation prize for a player the strives for perfection in his game. “I won matches. I play better than other years, true. At the same time I was ready for important things, so I lost an opportunity.” He said about his Wimbledon run. A two-time champion at Wimbledon, Nadal has won fewer matches in the tournament than any other grand slam event. Struggling with his knees on the grass in recent time, this year was only the second time in five attempts that he has reached the fourth round since 2012. A sharp contrast to his 79-2 win-loss record at the French Open. Still, Nadal’s desire to play at SW19 shows no sign of disappearing anytime soon. “I want to come back because I want to play more times in the Centre Court.” He replied when one journalist asked if will return next year. Novak Djokovic has no hard feelings towards John McEnroe after he compared his personal life to that of Tiger Woods. McEnroe made the comments earlier this week during the BBC’s Wimbledon coverage. Discussing Djokovic’s recent struggles on the tour, the 58-year-old drew similarities between him and Woods, who went through a high-profile divorce from his wife in 2010. ”(He’s) had some off-court issues with the family. That’s going to throw you. If you’re distracted you’re not the same player.” McEnroe said. Unlike Woods, Djokovic is not facing the prospect of separating from his partner. His wife Jelena, who he married in 2014, is expecting their second child later this year. Previously the Serbian has attributed his rocky journey on the tour to ‘motivational issues’ as well as other factors that has been troubling him since the 2016 French Open. 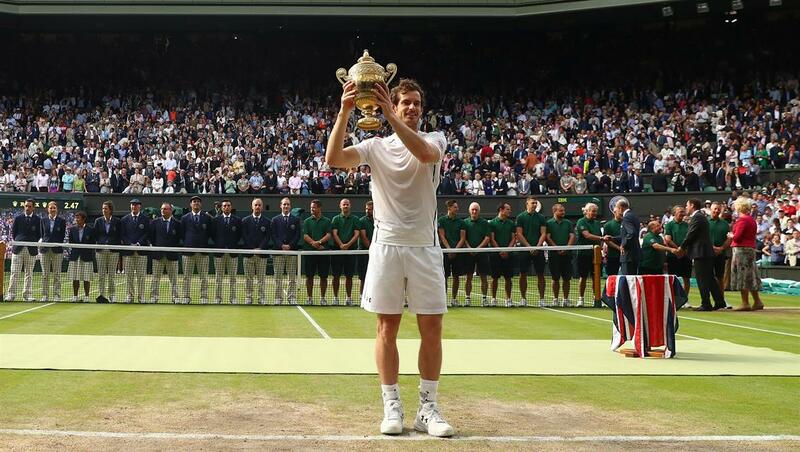 Andy Murray choked back the tears as he claimed his second Wimbledon title in ruthless fashion. Murray proved an unstoppable force as he secured a 6-4, 7-6, 7-6 victory over Canada’s Milos Raonic, a player of undoubted talent whose time will surely come. It’s his third major title but this was more impressive than his victory in the 2012 US Open or here at the All England Club three years ago, with just two sets dropped in the last fortnight. “This is the most important tournament for me, I’ve had some great moments here and some tough losses, which make the wins feel extra special and I’m proud to get my hands on this trophy again,” said Murray. “I played really good stuff today but he’s had a great few weeks on the grass and has some unbelievable wins. He’s such a hard worker and every time I play him, he’s made big improvements. “I’ve got to thank all my team for the hard work they’ve put in and all my family too. I’m going to make sure I enjoy this now, last time I felt so much relief and pressure that perhaps I didn’t.” This was a step into the unknown for Raonic, his first major final, but something new for Murray too. In his ten previous Grand Slam final appearances he’d always been the underdog and faced either Roger Federer or Novak Djokovic, with their 29 combined titles, across the net. The Canadian had lost his previous five matches against Murray but was up a set and a break up in their most recent encounter at Queen’s Club last month – a match in which the world number two showed his trademark stubborn streak and staged a fighting comeback to win. Raonic unsurprisingly seemed a little overawed as he walked on court but he soon settled his early nerves, although Murray always seemed to have more answers to his questions. His victory three years ago lifted the weight of history off himself and British tennis – 77 years of hurt evaporated and Fred Perry was finally replaced as the answer to the quiz question, who was the last British man to win Wimbledon? But this match was played under the equally crushing burden of personal and public expectation. However, Murray has rarely looked more focussed or determined as he put Raonic under almost immediate pressure. Every part of his game seemed to be functioning at 100%, especially his service return, while it’s always hard to beat a player who makes just 12 unforced errors. Between changeovers he consulted his notes, made with coach Ivan Lendl, eagerly cramming like a student on the school bus to their A-levels. And it was destined to be an exam passed with flying colours. Raonic’s name is universally pre-faced with big serving but it wasn’t until 36 minutes into the match that he managed to fire an ace past his Scottish rival. Murray finally broke his opponent for the first and only time in the seventh game and then closed out the first set in 44 minutes, letting out a roar of ‘let’s go’ in the direction of his players’ box. Murray looked to hammer home that early advantage in the second set but Raonic wasn’t about to be rolled over, as both players held their serves under the most intense pressure. At one point he even banged down an seemingly unstoppable 147mph rocket – the fastest serve of the tournament – and still lost the point, underlining Murray’s remarkable defensive display. But the second set moved towards an inevitable tie-break, something that shouldn’t have worried the number six seed, who had won five of the six career breakers these two have played. However, Murray’s big occasion experience proved decisive and he raced to a five-point advantage before closing out the second set with a 7-3 tie-break win. Raonic had come from two sets down to beat David Goffin earlier in the tournament while he was also trailing 2-1 in his semi-final against Roger Federer – but Murray, in this form, was surely a different prospect. And if one point could sum up the match, it was the exchange at 0-0, 2-1 in the third set on Raonic’s serve. He tried to dictate, booming down a trademark big serve and then sending Murray scurrying from side to side across the court but the Scot still found the time and space to hit the winner. The match was well over two hours old before Murray had to defend break points on his serve – he duly saved them both and you knew then that Raonic’s chance had gone. The third set also went to a tie-break and once again Murray dominated it, winning it 7-2 to claim his third Grand Slam title. British No.1 Jordanne Whiley and British No.2 Lucy Shuker will meet for the first time in Grand Slam singles competition tomorrow after the draws were made on Tuesday for the inaugural Wimbledon wheelchair tennis singles events. With five Brits on the Tennis Foundation’s Wheelchair Tennis World Class Programme contesting this week’s historic men’s and ladies’ singles events at the third major of the year, Louise Hunt will make her Grand Slam singles debut against last month’s Roland Garros champion Marjolein Buis of the Netherlands. 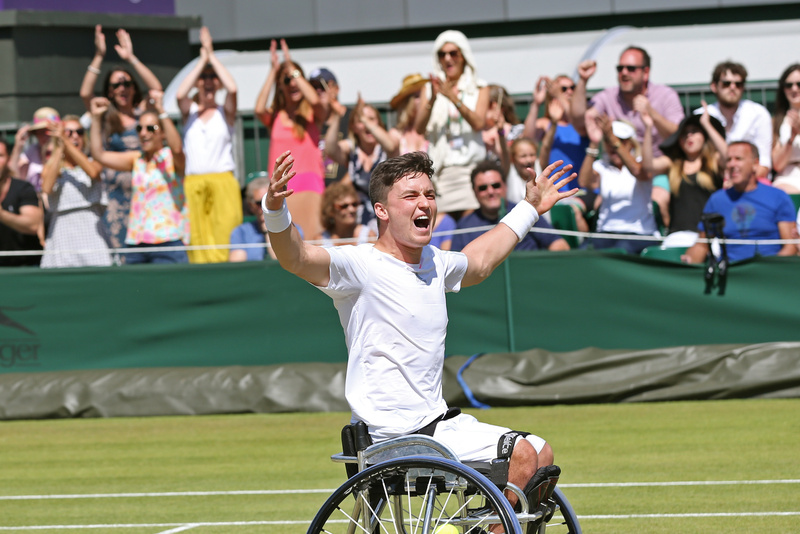 In the men’s singles, Australian Open champion and world No.3 Reid Gordon Reid will begin his quest to reach his third Grand Slam singles final of the year with a quarter-final against Frenchman Nicolas Peifer. Meanwhile fellow Brit Alfie Hewett will make his Grand Slam singles debut against Belgium’s Joachim Gerard. Reid will face world No.4 Peifer for the second Grand Slam in succession, having won their opening match in Paris last month in straight sets. 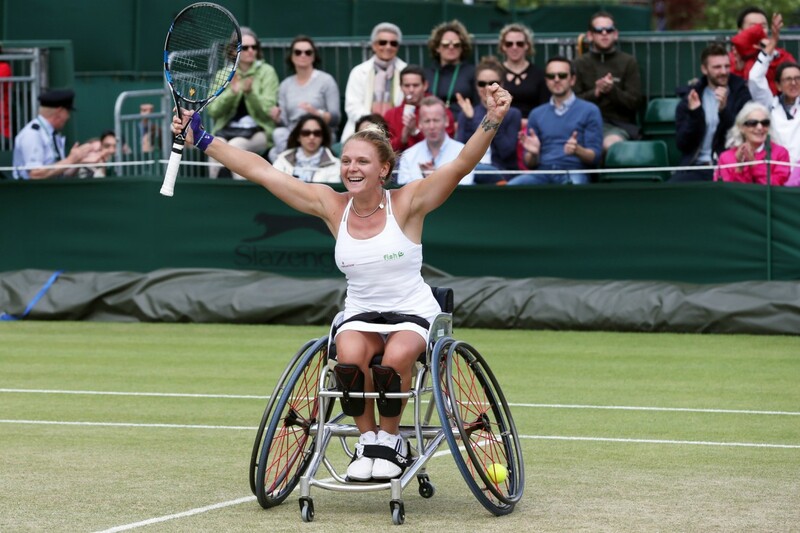 As well as aiming to make history in the first ever wheelchair tennis singles events, Whiley and Reid will also be looking to add to their Grand Slam doubles titles. Whiley and Japan’s Yui Kamiji, already seven-time Grand Slam doubles champions, will begin their campaign for a third successive Wimbledon doubles title against Hunt and Buis. That means that at least one Brit will be in the ladies’ doubles final, with Shuker and Germany’s Sabine Ellerbrock facing Dutch duo Jiske Griffioen and Aniek van Koot in the other semi-final. Reid and Hewett will start their first Grand Slam doubles event together with a semi-final against Argentina’s Gustavo Fernandez and Gerard. Reid and Hewett have already reached three successive Super Series men’s doubles finals this year after also winning last year’s British Open. The men’s and ladies’ doubles semi-finals are scheduled to take place on Friday.